The early years, with co-directors Raymond Hack, Gary Pretorius and Stan Fanaroff. Rodney Berman’s first venture into professional boxing took place on August 29 1977, when Charlie Weir knocked out Bushy Bester at Wembley Ice Rink. It was the first milestone in a long and illustrious 30-year stretch that has seen the Golden Gloves banner displayed throughout the world. To date, the Golden Gloves consortium has produced over 50 world champions, the majority of whom were South Africans. Amazingly, they were all crowned since March 1990. The list of world champions includes Welcome Ncita, Brian Mitchell, Vuyani Bungu, Mbulelo Botile, Phillip Holiday, Jacob Matlala, Hawk Makepula, Zolani Petelo, Lindi Memani, Jacob Mofokeng, Corrie Sanders, Cassius Baloyi, Thulani “Sugarboy” Malinga, Lehlohonolo Ledwaba, Harry Simon (Namibia), Sebastiaan Rothmann, Dingaan Thobela, Jan Bergman, Phillip Ndou, Robert Norton (UK), Glen Catley (UK), Shane Mosley (USA), Hasim Rahman (USA), Silence Mabuza, Mhikiza Myekeni, Mzukisi Sikali, Zolani Marali, Thomas Mashaba, Isaac Hlatshwayo, Malcolm Klaassen, Nkosinathi Joyi, Albert Sosnowski, Mbwane Matumla (Tanzania), Takalani Ndlovu, Zolile Mbityi, Fernando Beltran (Mexico), Cristobal Cruz (Mexico), Tommy Oosthuizen, Hekkie Budler, Gideon Buthelezi, Tshifhiwa Munyai and Isaac Chilemba. An astute former attorney based in Rosebank, Berman has promoted more than 2000 bouts and has received numerous State Presidents awards for his services to the sport. He was also honoured on several occasions by the IBF (International Boxing Federation) as well as the Maccabi Institute of South Africa. 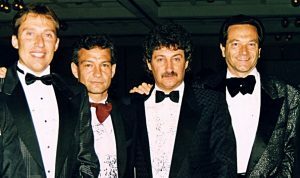 A man of vision, Berman, despite intense criticism by the prevailing SA boxing authorities, boldly ventured into new territorial waters when he became the first South African boxing promoter to work with the IBF in the mid-eighties. This occurred after Berman had journeyed to the United States in 1986 for in-depth talks with the then IBF president Bobby Lee. It proved to be one of the soundest moves ever orchestrated in the history of South African boxing and the rewards weren’t long in coming. In fact, some of this country’s finest world champions, like Welcome Ncita, Vuyani Bungu, Phillip Holiday, Brian Mitchell, Mbulelo Botile, Lehlohonolo Ledwaba, Cassius Baloyi and Malcolm Klaassen, all went on to win IBF world championships. Innovative by nature, Berman has constantly sought new goals and challenges and his reputation as the greatest promoter in the annals of South African pugilism has never affected his outgoing nature. If anything, he has remained unfazed by the reams of accolades that have come his way, preferring instead to praise his team of employees and fighters, all of whom hold him in the highest esteem. Among the biggest tournaments Berman’s Golden Gloves Promotions have staged were the “Amabutho Empi” bill at the Carousel in 1997, the “Thunder in Africa” extravaganza at’ Carnival City in April 2001, and “All the King’s Men” at the same venue in May 2004. More recently, in 2007, he hosted Laila Ali on a bill promoted as “Ali at the Palace”. He also facilitated the highly popular visit by former heavyweight champion Mike Tyson. That the African continent has collectively benefited from Golden Gloves Promotion’s extensive activities abroad cannot be disputed and the Rosebank-based consortium have furthered the ambitions of a number of fighters from foreign countries such as Congo, Botswana, Nigeria, Tanzania, Malawi and Senegal. Handshakes with overseas promoters such as Art Pelullo, Cedric Kushner, Don King, Adrian Ogun, Lou Di Bella and Barry Hearn have, over the years, paid rich dividends and South African boxing has reaped the rewards of Berman’s far-sighted alchemy. 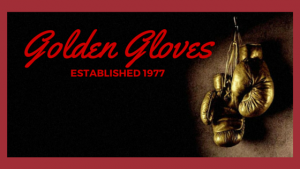 Moreover, no other South African promotional group has equalled or maintained the remarkable success rate achieved by Golden Gloves Promotions.